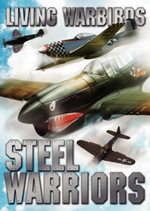 Role: Strategic bomber, Maritime strike. The Tupolev Tu-22M (Туполев Ту-22М) (NATO reporting name: Backfire) is a supersonic, swing-wing, long-range strategic and maritime strike bomber developed by the Soviet Union. Significant numbers remain in service with the Russian Air Force. The Tupolev Tu-22 had not proved particularly successful, in some respects being inferior to the earlier Tu-16. Its range and take-off performance, in particular, were definite weak points. Even as the Tu-22 was entering service, OKB Tupolev began work on an improved successor. As with the contemporary MiG-23 and Su-17 projects, the advantages of variable-geometry wings seemed attractive, allowing a combination of short take-off performance, efficient cruising, and good high-speed, low-level ride. The result was a new swing-wing aircraft called Samolyot 145 (Rus. Aeroplane 145), derived from the Tu-22, with some features borrowed from the abortive Tu-98. 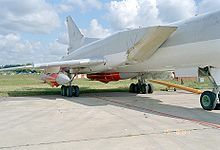 The Tu-22M was based on the Tu-22's weapon system and used its Kh-22 missile. The Tu-22M designation was used to help get approval for the bomber within the Soviet system. The first prototype, Tu-22M0, first flew on 30 August 1969. The resultant aircraft was first seen by NATO around that time. For several years it was believed in the West that its service designation was Tu-26. During the SALT negotiations of the 1980s the Soviets insisted it was the Tu-22M. At the time, Western authorities suspected that the misleading designation was intended to suggest that it was simply a derivative of the Tu-22 rather than the more advanced and capable weapon it actually was. During the Cold War, the Tu-22M was operated by the VVS (Soviet Air Force) in a strategic bombing role, and by the AVMF (Aviatsiya Voyenno-Morskogo Flota, Soviet Naval Aviation) in a long-range maritime anti-shipping role. The Tu-22M saw its first combat use in Afghanistan from 1987 to 1989. A Tu-22m during landing and taxing can be seen here:. Its usage was similar to the United States Air Force deployment of B-52 Stratofortress bombers in Vietnam War, dropping large tonnages of conventional ordnance. The Russian Federation used the Tu-22M3 in combat in Chechnya in 1995, carrying out strikes near Grozny. At the time of the break-up of the USSR, some 370 remained in CIS service. Production ended in 1993. 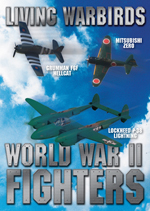 The current strength was about 162 aircraft in 2008, with an additional 93 in reserve. Russian military officially acknowledged the loss of a Tu-22MR bomber to Georgian air defenses early in the 2008 South Ossetia war. One of its crew members was captured (Major Vyacheslav Malkov), two others were killed and crew commander is missing in action as of August 2009. 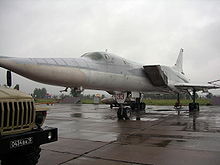 The Soviet Union did not export the Tu-22M, but the break-up of the USSR left some aircraft in the possession of former Soviet republics. Belarus has 52 (the serviceability of which is unclear). Ukraine had an additional 29, but since the Ukrainian government's renunciation of nuclear weapons, those aircraft have been destroyed, the last in 2004. Tupolev has sought export customers for the Tu-22M since 1992, with possible customers including Iran, India and the People's Republic of China, but no sales have apparently materialized. Four were leased to India in 2001 for maritime reconnaissance and strike purposes. Only nine of the earliest Tu-22M0 pre-production aircraft were produced, followed by nine more Tu-22M1 pilot-production craft in 1971 and 1972. Its NATO reporting name was Backfire-A. 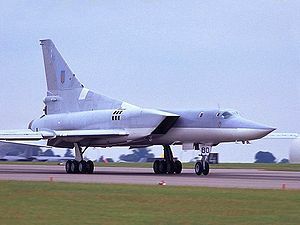 The first major production version, entering production in 1972, was the Tu-22M2 (NATO: Backfire-B), with longer wings and an extensively redesigned, area ruled fuselage (raising the crew complement to four), twin NK-22 engines with F-4 Phantom II-style intakes, and new undercarriage carrying the landing gear in the wing glove rather than in large pods. These were most commonly armed with long-range cruise missiles/anti-ship missiles, typically one or two Raduga Kh-22 anti-shipping missiles. Some Tu-22M2s were later reequipped with more powerful NK-23 engines and redesignated Tu-22M2Ye. In service, the Tu-22M2 was known to its crews as Dvoika ('Deuce'). 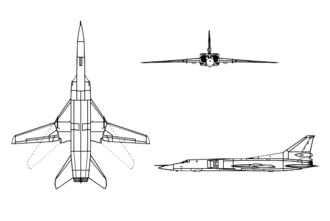 The later Tu-22M3 (NATO: Backfire C), which first flew in 1976 and entered service in 1983, had new NK-25 engines with substantially more power, wedge-shaped intakes similar to the MiG-25, wings with greater maximum sweep, and a recontoured nose housing a new Leninets PN-AD radar and NK-45 nav/attack system, which provides much-improved low-altitude flight (although not true nap-of-the-earth flying). It had a revised tail turret with a single cannon, and provision for an internal rotary launcher for the Raduga Kh-15 missile, similar to the American AGM-69 SRAM. It was nicknamed Troika ('Trio'), although apparently it is sometimes referred to as Tu-22 in Russian service. One area of controversy surrounding the Tu-22M is its capacity for aerial refueling. 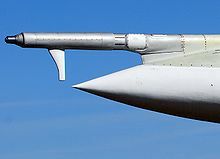 As built, the Tu-22M has provision for a retractable in-flight refueling probe in the upper part of the nose. This was allegedly removed as a result of the SALT negotiations, although it can be easily reinstated if needed, and a pre-production Tu-22M1 (NATO: Backfire-A) with refueling probe can be seen at Riga Airport today. A small number, perhaps 12, of Tu-22M3s were converted to Tu-22M3(R) or Tu-22MR standard, with Shompol side-looking radar and other ELINT equipment. 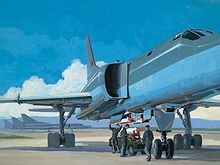 A dedicated electronic warfare variant, designated Tu-22MP, was built in 1986, but to date only two or three prototypes have apparently been built. Some surviving Tu-22s have had equipment and avionic upgrades to Tu-22ME standard (which does not have a separate NATO reporting name at this time). Total production of all variants was 497 including pre-production aircraft. 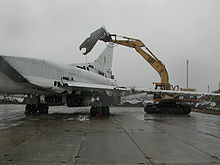 Picture - A Ukrainian Tu-22M is dismantled through assistance provided by the Cooperative Threat Reduction Program implemented by the Defense Threat Reduction Agency. Russia had 84 in service with some 93 in reserve in 2008. Soviet Union Soviet Tu-22Ms were passed to successor states. From up to 3 x� Raduga Kh-22 missiles in weapons bay and on wing pylons or Six missiles on a MKU-6-1 rotary launcher in its bomb bay, plus four missiles on two underwing pylons for a total of ten missiles per aircraft.or Various freefall bombs - 69 x� FAB-250 or 8 x� FAB-1500 might be typical. Various freefall bombs - 69 x� FAB-250 or 8 x� FAB-1500 might be typical. The Kh-55 (AS-15 'Kent') long-range cruise missile was tested on the Tu-22M but apparently not used in service. Taylor, J.W.R. (ed.) 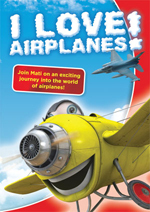 Jane's All The World's Aircraft 1980-81. London: Jane's Publishing, 1980. 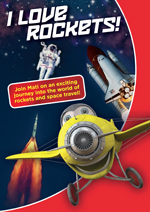 ISBN 0 7106-0705-9.